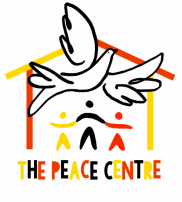 ​Peace is in charge of the day-to-day running and the future development of The Peace Centre. Having been a secondary school teacher for more than twenty years, she has a long history in caring for children. Peace is a kind, loving mother figure for all kids in The Peace Centre and spends a great deal of her time mentoring and guiding children, helping them develop into responsible young citizens. She also liaises with our Ugandan Board of Trustees to ensure the growth of The Peace Centre as a Community Based Organisation. Peace married Golden in 1994 and they have four children - Isaac, Ruth, Timothy and Sarah. Peace loves singing and is often found teaching the children new songs to sing to the visitors that she loves to welcome! Golden may sometimes be seen as the practical one who sorts out logistics in The Peace Centre, but make no mistake, he is there late at night working away because his heart is fully behind the care of each of the children who previously faced a life without opportunity. Golden has worked for many years as a Biology teacher, and he very much takes on the role of a father figure at The Peace Centre - a role which many of our children have never known. 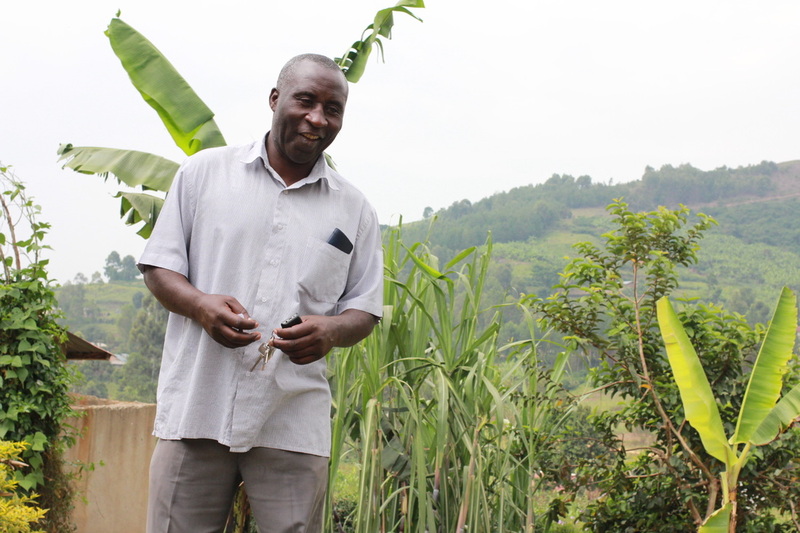 He takes care of the finances and record-keeping, as well as supervising the staff at The Centre, and he also acts as the Chair of Board of Trustees in Bukinda, Kabale. Golden enjoys time with his family, particularly hearing Peace sing - and hopefully whilst eating a nice hearty plate of homemade beans and potatoes. Racheal is a specialist in child development and has worked for several years training other social workers in effective practice in Kampala before moving to Bukinda to join The Peace Centre team full time. She is happy to be working directly with children once more, and brings a great deal of expertise to our team, as well as a wonderful level of support and smiles for all TPC kids, Racheal carries out home visitations to ensure that all of the orphans we take into The Peace Centre are genuinely the neediest, working alongside the Regional Child Protection Officer in doing so. 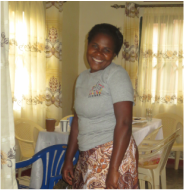 Racheal loves to spend time daily with the children, to be a listening ear and always welcome them with a big smile. Racheal is married to Emmanuel and they have two children Jashen and Jordan. Anthony works as a teacher in Shanghai but, ever since a gap year in Bukinda back in 1999, his heart has been in Uganda. Along with Peace and Golden, over late night chai and chapattis in the summer of 2001, they dreamt up the idea of building a centre for orphans - giving them love, care and a home, and thus changing the trajectory of their lives. It was so exciting to see that dream become a reality, when his wife Maria went to Bukinda for the official opening of The Peace Centre in February 2015. Anthony and Maria have two children, Bella and Elliot. Andy lives and works as a teacher in Shanghai. As a Trustee, his work with The Peace Centre lies mainly with Marketing and Public Relations, but he is also heavily involved in fundraising. Ever enthusiastic and always keen to help with any situation, Andy is a loyal friend for whom nothing is too much to ask. Andy loves to cycle, and has a reputation in Bukinda as the mad muzungu who cycles up the steep hills every morning. Andy married Mandy in 2015. Kat lives and works as a teacher in Jakarta, and has a particular eye on safeguarding to ensure the best possible environment for the success of each and every one of our children. As a trustee she is in charge of Sponsor Liaison. Although Kat spent many of her formative years in the UK, she originally hails from South Africa and has a real heart for the continent and its people. Kat can often be found playing any sport on offer or talking about her pet dog Barney. Jenny is a retired Head of Primary School from the UK. She has experience working with charities, is exceptionally well organised, and as such takes care of all things secretarial on the Board of Trustees. She keeps Anthony, Andy and Kat in line and tries to make sure they stick to deadlines! Not always an easy task! She loves to travel to France and Italy with her husband Donald, and spend as much time with her grandchildren as possible. Dave lives in the UK and worked for ICI for many years. He has come from a business background and brings financial experience to the The Peace Centre as Treasurer on the Board of Trustees. Dave is fully enjoying his retirement and spends as much of it as possible travelling all over the world, and particularly the canals around the UK on his narrowboat.